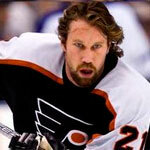 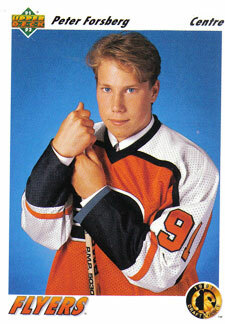 Peter Mattias 'Foppa' Forsberg ( born July 20, 1973) is a retired Swedish professional ice hockey player. 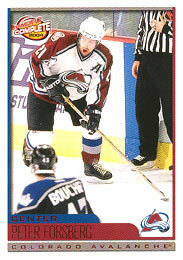 Known for his on-ice vision and physical play, Peter Forsberg is considered one of the most complete players of his generation. 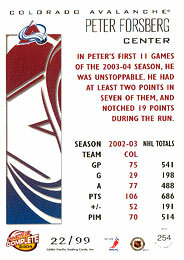 As of 2011, he stands tenth all-time in career points-per-game and fourth all-time in career assists-per-game in the NHL, only behind Wayne Gretzky, Mario Lemieux and Bobby Orr. 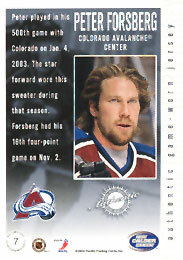 Peter Forsberg 19-year professional career includes 13 years in the National Hockey League where he won two Stanley Cups with the Colorado Avalanche, as well as numerous individual honors including the prestigious Hart Memorial Trophy in 2003. 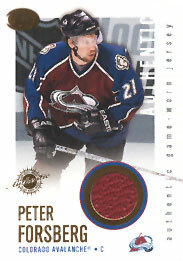 He is a member of the Triple Gold Club and the only Swede who has won the three competitions twice. 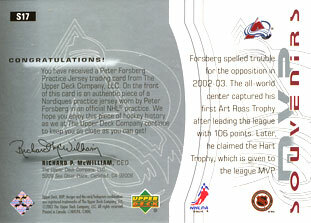 As of the end of the 2008–09 NHL season, he is the fourth-highest all-time Swedish point scorer in the NHL regular season. 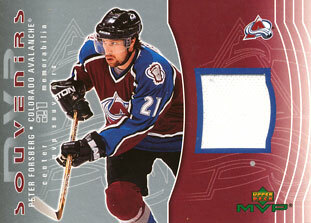 Before his short-lived comeback season in 2011, Peter Forsberg never had a negative plus-minus rating, giving him an overall career rating of +238.